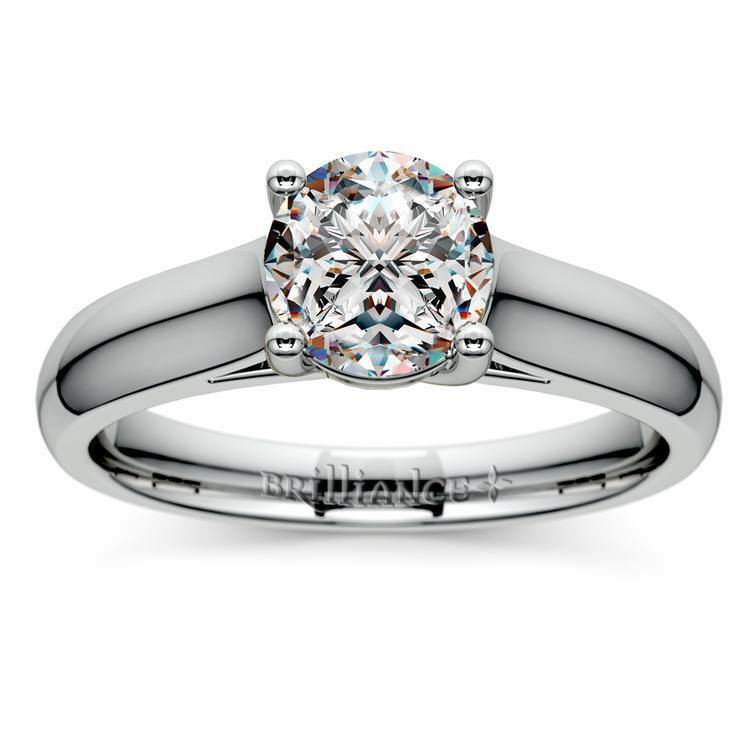 Classic and elegant, the Trellis Solitaire engagement ring in Platinum gorgeously combines strength and beauty. Its designers took inspiration from the Tiffany Lucida ring, opting for elegance and class. With your choice of a center diamond, the ring sits low on your finger for a comfortable, yet classy fit. Platinum has naturally white properties that beautifully offset any sparkling diamond. Since platinum is a hypoallergenic metal, this ring makes an ideal choice for those with sensitive skin and elegant tastes.